Hey parents! 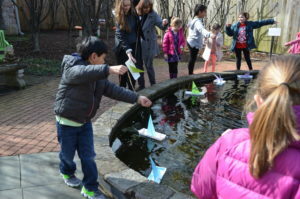 It’s spring break in Indiana, and at Minnetrista, kids will explore how spring is celebrated all over the world during two days of outdoor fun. Come play, do some crafting, and join the adventure that will encourage the appreciation of beauty, creativity, and teamwork. For children in grades K–3. Campers will need to bring their own lunch every day. March 25–26; 9 a.m.–3 p.m.